It may be a small world after all, but Epcot's got 11 countries to experience in the span of eight hours. And frankly, if you're not a Disney employee or annual passholder, ain't nobody – especially cranky children – got time for all that. 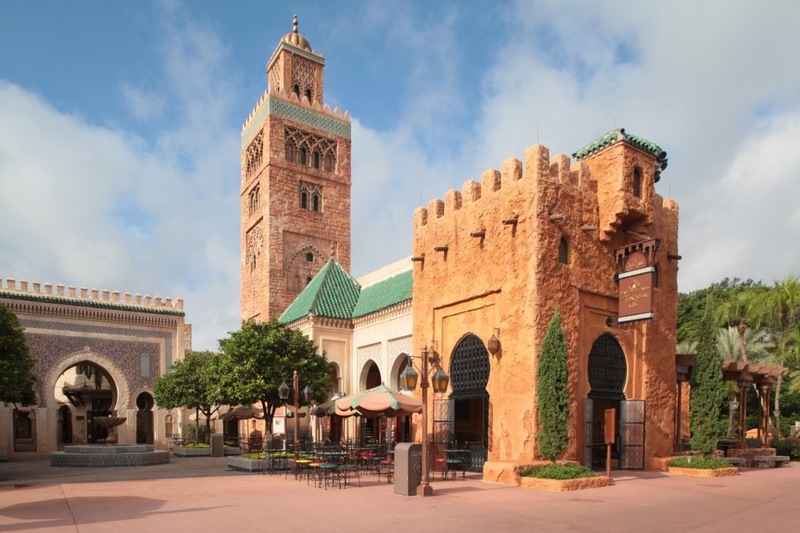 To expedite your "travels" from pavilion to pavilion, we've broken down the can't-miss attractions, food and drink for each country, as well as what to skip. De nada, bitte, bié keqi, ealaa alrrahub w alssae, doitashimashite, værsågod, de rien, prego and you're welcome in advance. Must-Eat: Proceed directly to the Karamell-Küche for a caramel-walnut shortbread bar that will be the best dessert you eat all day. Must-Drink: Beer. Lots and lots of beer. Must-See: The miniature train and village. You could seriously watch this for hours (or at least until you crave another beer). Skip: Sommerfest, the quick-service restaurant. Oktoberfest-themed and buffet-style Biergarten is worth the extra time, money and appetite. Must-Eat: Anything with cream from Kringla Bakeri og Kafé. You'll come to learn that anything with cream at Epcot = delicious. Must-Drink: Their signature aquavit shots. They taste like absolute crap, but you'll get wasted quickly (and without the sugar hangover of a frozen drink). Must-See: The architecture. It's certainly the most magical, in a fairytale kind of way. Skip: Anything Frozen-related, unless you want to be THAT tourist. The lines to pose with Elsa and Anna can get pretty ridiculous. Must-Eat: Pretty much anything. Turkey legs, funnel cakes, The American Dream (red and blue slush WITH ice cream)...you can't really go wrong with our fried food and obesity-inducing diet. Must-Drink: The frozen lemonade was too sweet for our taste, so stick to beer. Must-See: The American Adventure show, because you probably know nothing about this country's history and deserve to be punished. Skip: Posing for photos in front of buildings. It's definitely one of the most visually unappealing areas of the park. Sorry, 'murrica. Must-Eat: Pasta on top of pasta at charming, Florence-inspired Tutto Italia. Do you really have any other choice? Must-Drink: Wine. Duh. Sparkling wine if you're feeling extra adventurous. Must-See: The restaurant Via Napoli. It has lots of natural lighting and some impressive ceramics. Skip: Anything that doesn't have to do with eating or drinking. You're in Italy, after all. Must-Eat: You have so much to choose from. It's best to order small bites of everything, dim sum style. Must-Drink: Mango-ginger margaritas. Sure, the'yre not the most authentic option, but ginger-infused cocktails are hard to mess up. Must-See: The Dragon Legend Acrobats and their impressive Cirque du Soleil-esque act. You'll understand why Chinese gymnasts are under such intense pressure to be perfect. It's a very nail-biting experience. Skip: 360 degree "attraction" Reflections of China. Martin Short's O'Canada movie is better. Must-Eat: The sushi isn't particularly special, but Teppan Edo has decent stir-fry. Must-Drink: Sake, but like the sushi, it's not something to write home about. We would have been happier with a Ramuné or hot green tea. Must-See: Japan's gift shop, Mitsukoshi Department Store, is the best gift shop in Epcot. From specialty candy and Hello Kitty to traditional garb and quirky tea sets, you're sure to find something for the loved ones who were "too busy" to take a vacation. Skip: Honestly, if the Epcot countries were the Kardashians, Japan would be the Kim Kardashian—the best of the bunch. Must-Eat: La Hacienda de San Ángel and Cantina de San Ángel offer great lakeside dining experiences. The former has a delicious short rib and the latter has a churro for the road. Must-Drink: Anything with tequila at La Cava del Tequila. The bartenders are great at steering you in the right direction. Must-See: The mariachi band. These guys and gals know how to party. Skip: Outdoor shopping. Unless you want to buy a giant sombrero, the offerings are pretty limited. Plaza de los Amigo's (inside the pyramid) is the best alternative. Must-Eat: You really can't go wrong with anything on Restaurant Marrakesh's menu. Who doesn't like kabob? Must-Drink: Something fruity. Their beverages offer an abundance of sweet, Islandy options that will make you wish you were on a beach and not with your annoying family. (Kidding, kind of.) We're not entirely sure what the Caribbean has to do with Morocco, but because it's alcohol and it tasted delicious, we didn't ask questions. Must-See: The intricate henna designs that you'll regret not getting. Face paint is so 2015. Skip: Aladdin and Jasmine...at least the day we went. They looked NOTHING like the original characters. Must-Eat: A scoop or seven from L'artisan des Glace ice-cream parlour – a perfect summer treat! Also, it's hard to resist anything served in la boulangerie. Nothing rivals French bread. Must-Drink: Champagne. It's the one opportunity to be classy. Must-See: La Signature gift shop. Smell anything rose-scented and you'll be walking out spending way more than you anticipated. Skip: Trying to walk around the side garden to the Eiffel Tower. You will be sorely disappointed. Must-Eat: Make a reservation at Le Cellier Steakhouse. It is arguably the best restaurant dining experience in Epcot, but you'll be shelling out a hell of a lot more than Canadian dollars. Must-Drink: Canadian craft beers for all of you hipster folk. Must-See: The O' Canada movie is beautifully shot, but we're equally as impressed with the waterfall area that leads you there. 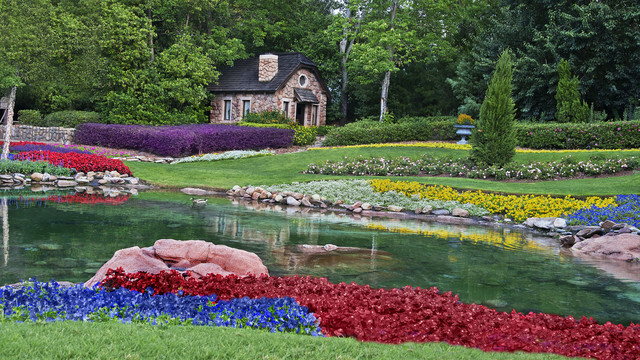 Canada also boasts one of the best gardens in the park. Skip: The random popcorn cart. You can get some amazing buffalo and bleu cheese-flavored popcorn by the Finding Nemo ride. Must-Eat: Fish and chips at Rose & Crown Pub, blokes. Must-Drink: Do you even have to ask? Must-See: We're fans of the well-stocked Tea Caddy store that has a brew for every personality. Skip: The British Revolution band. They're not bad, but they're no Beatles.